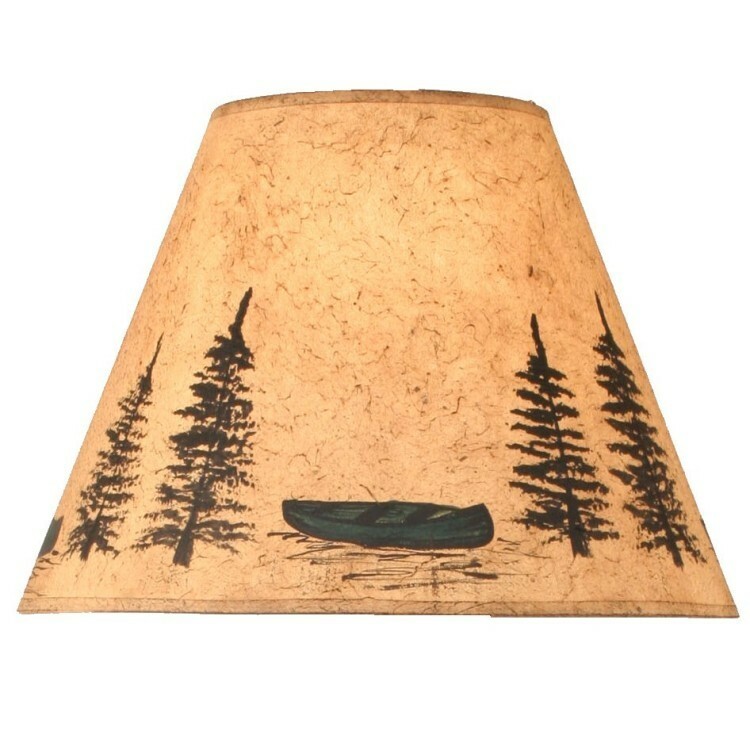 These parchment Green Canoe Lamp Shades have a vintage look with hand painted pine trees and green canoes. Add these replacement lamp shades to your rustic lodge decor. 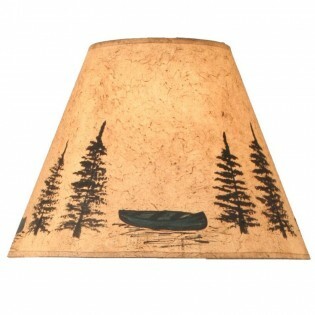 These parchment Green Canoe Lamp Shades have a vintage look with hand painted pine trees and green canoes. Add these replacement lamp shades to your rustic lodge decor. Please allow approx. 10-14 Business Days for shipping.